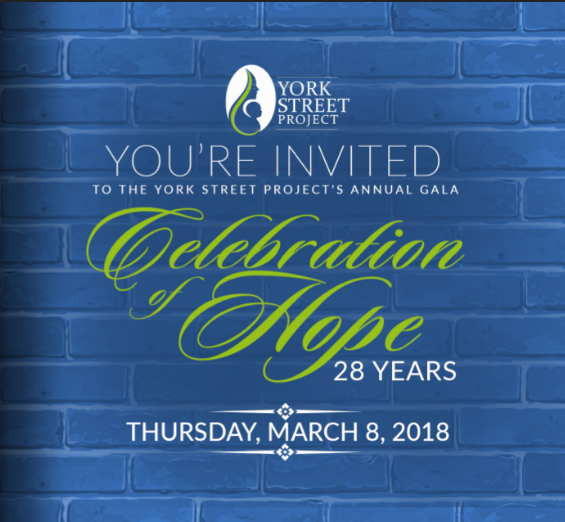 Join us as we celebrate our families and the hope your support provides to those who come to the York Street Project to begin their journey out of poverty toward independent living. We will pay special tribute to the Denyeau Family as recipient of the Sister Kristin Funari Legacy of Hope Award. 6:00pm Cocktail Hour: The dance floor opens. Enjoy our live band along with a signature cocktail, or beverage of your choice, as you taste an assortment of passed hors d’ouevres. 7:00pm Dinner Hour & A Story of Hope: Blessing followed by a program impact testimony from one of our residents. Enjoy a selection from our carving and pasta stations. 8:00pm Dessert Hour and Remembering a Legend: Enjoy desserts and our tribute to the Sister Kristin Funari Legacy of Hope Award. Together, we will celebrate her legacy as it lives on in others.